Nebraska may be a really solid dark horse in a few categories, even though it's not really favoured in anything. It has plenty of nominations and there are plenty of critics slyly loving this film, even if it really hasn't caught on with mainstream audiences. Payne has two previous nominations, for Sideways (2004) and The Descendents (2011), and even though those are two really great flicks, he's not really owed anything, especially since both those movies nabbed him a statue for writing. There's just nothing completely outstanding about his direction here in comparison with every other nominee to justify a win. David O is another director like Payne who has had a lot of success with the Academy lately, possibly because he's been recently more geared towards making more Academy-friendly films. It's a tough call what people think of him these days - he's getting to be more liked by actors after getting a slew of nominations for those starring in his flicks, including a second batch of running every category after Silver Linings Playbook (2012) did the same last year. Like Payne, though, is there anything about Hustle's directing that is really that unique besides the egregious amounts of flair and style? I'm not sure a director can win on tone alone, although that's all Hustle has going for it and it's admittedly a tough nut to crack. Marty somehow has only one win across seven previous nominations, which still doesn't feel like enough. Another notch here would bring nothing but smiles to just about everyone watching, but the Academy has regularly shitted on the man in any non-Departed (2006) year. Despite being one of our greatest living filmmakers, who is still at the top of his game, as well as making great strides in other crazy areas like film preservation and awareness, documentary features, and glasses fashion, his flicks tend to be a little too violent and out there for the Academy crowd. Are they really going to reward a film with 506 F-bombs? Especially when that's its most moral attribute? If you're playing the odds, despite exerting one of the stronger directorial influences this year, Marty goes home empty-handed. In many ways the Academy is still really backwards in its thinking. How did they not honour a woman director until 2009's The Hurt Locker? How have they never honoured a black director? Steve McQueen is still fighting to be recognized over Bullitt, and despite his impressive oeuvre for his young career, the mainstream acceptance is far from there yet. He's still putting up the biggest fight against Cuarón, though, and if the Academy doesn't feel like splitting up its Picture and Director Awards again, McQueen will be the one to nab it. Like the Globes and the BAFTAs, though, I bet taht 12 Years doesn't win anything (ecept for Nyong'o) until it takes home the big prize at the end. Even thought it'd be nice to finally see a black Best Director winner, it's hard to have a problem with Cuarón earning this. Many people love him for Y Tu Mamá También (2001), but I still just think he gave us the best Harry Potter film, The Prisoner of Azkaban (2004). 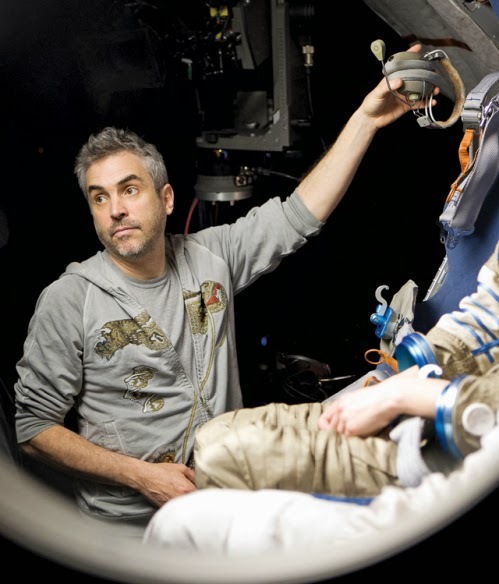 Gravity is his baby, though, and the astounding amount of effort that went into its creation, from pioneering new visual effects and filming techniques to simply creating a movie that gave people a legitimately thrilling reason to go to a theater again, this is well-deserved. With a Golden Globe, DGA Award, and BAFTA under his belt, it's looking pretty strong in his favour, too. He may also go home with a Best Editor statue, making him a rare double winner. March 2nd will be good to Alfonso. How will these predictions turn out? Come back next week and watch us dissect the Best Picture nominees, as well as the night of the Ceremony when we live blog about how bad our predictions have been.